Preheat oven to 300 degrees. Combine pretzels, melted butter and vanilla into a gallon size Ziploc bag and toss to coat. In a bowl mix together the cinnamon and sugar and pour half of the mixture in the Ziploc to coat the pretzels. 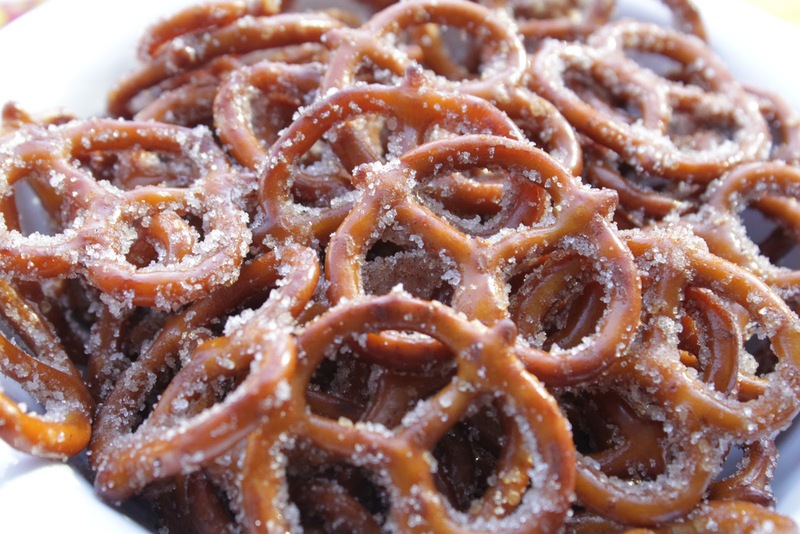 When well-coated, spread the pretzels into a roasting pan. Place in oven and bake for 30 minutes, removing twice (after ten minutes and again after twenty minutes) to stir, adding more cinnamon sugar mixture each time.